You can read more about the challenge and sign up here. Your thoughts on volunteering may run along the lines of – “Yeah, sure. Right after I stack this load of hay, schedule Spring shots, and go find Ace’s $100 bar shoe that he lost in the mud by the gate…” Face it, the norm in this business is to have more work than time, few breaks, few chances to socialize or donate time to your favorite organization. Just keeping on top of the chores is enough to keep you (and probably at least half of your friends and relatives) busy on any given day. But what if I were to tell you that, rather than just being another commitment you could do without, volunteering can positively impact your bottom line? Don’t believe me? Read on for 5 overlooked ways volunteering can help your business. Sure, you see your clients regularly, sometimes run into other horse people at the feed store — and there are always other riders and trainers at shows; but, you’re always busy with your own agendas and rarely have time to make new acquaintances at places like this. Volunteering gives you access to new people, and a common thread you can weave into new friendships, new experiences, and even new clients. 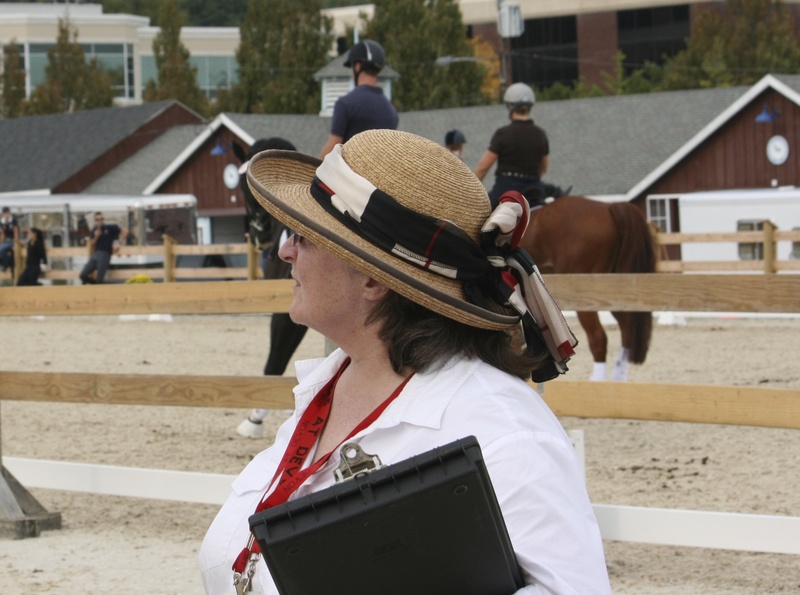 Volunteering at your local Therapeutic Riding Center fixing the ring? Clearing trails in a State Forest? Painting jumps for your area 4-H group or Pony Club? Take photos, post them to the club’s Facebook Page (as well as your own business page). Tweet about the fact that you’re honored to be helping out a great organization. Follow the group on social media, and invite friends to attend the event (just check with the organizer first, so they don’t have 2 dozen unexpected volunteers showing up and not enough tools or jobs to go around). Social Media is not only a great way to promote your business directly, but also to show that you’re involved in the community and that you give back to deserving organizations. You may have mended a hundred miles of fence, but have you ever constructed cross-country obstacles? You write checks for the vet, blacksmith, and feed store, but have you ever scribed for a dressage judge? Maybe you’re interested in learning a bit about reining, or want to run a charity trail ride some time in the future. Volunteering at events can be a great way to learn new skills which could translate into a new revenue stream for your business. Volunteering to be a jump crew at a 4-H show, or clear trails for a Rails to Trails project or your local hunt? Get your students or boarders involved. It provides a great sense of community, and once you have fostered the feeling of working together in your group, you can more easily translate that into work parties around your own barn. Provide a grill and have a sign-up for pot luck and make a fun day out of it. Next time your beginner jumping group goes into the ring, they can be proud that they painted the jumps or filled in the flower boxes. What’s near and dear to your heart – finding a cure for Breast Cancer? Saving horses from slaughter? Helping disadvantaged youth? The state of the wild horse population in the US or working horses in Third World countries? Find a group whose mission aligns with your beliefs and ask about volunteer opportunities. You’ll be supporting a cause you truly believe in while spreading the word about your business and services. So, the next time you’re at your planning calendar — think about planning some time for volunteering. You may just find that you’re helping out your bottom line while you’re helping your favorite charity.